23rd edition was played in June 2018. 150 + SB players received scholarships to study & play tennis for the US Universities. Thanks to the passion towards youngest players, that for sure Smrikva Bowl helped to grow over the last 20 years, the Smrikve Tennis Club is dedicating major attention to the youngest tennis players. The Smrikve Tennis School (La Bottega) aims to provide our school members with the best existing knowledge and methods developed for instructing younger tennis players in their overall growth. Usually, the kids that are involved in sports activities or in music learn to efficiently allocate their time. Kids learn to become responsible individuals and this could be very important for any professional activity they may decide to pursue in the future. In particular, in the tennis game there is a need to solve problems individually and it is a good way to develop good habits and also have fun. Tennis is a lifetime sport from which all age groups find personal enjoyment, opportunities to mix with others socially, as well as the health benefits of vigorous exercise. Smrikve coaching model is designed to introduce young children and also adults to the joys of playing tennis and to encourage them to fall in love with the game. Miodrag Bozovic (Mimi) and Tomislav Bozovic (Tomo) are currently dedicating most of their time to teach kids more about tennis and sport in general. Mimi and Tomo are both members of the largest global organization of tennis teachers and coaches named PTR – Professional Tennis Registry. Miodrag Bozovic – Mio is native from Pula (Pola) – ISTRIA (Croatia) where he completed Scientific High School and Conservatory of Music. He studied accordion and learned to play the guitar and piano on his own. Thanks to music he started to travel abroad. After high school completion, he lived for 15 years outside ISTRIA, mostly in: Milan, Barcelona, New York and Turin. During that period he graduated in Business Administration at BOCCONI University (Milan) and in Political Science at Universita’ degli Studi di Milano with focus on International Relations. Mio also holds Master CEMS degree obtained jointly from ESADE (Barcelona) and BOCCONI. This Master program was focused on European Union development and International Management. During his Investment Banking professional experience Mio was part of Ambrosetti’s Young Leaders program (Milan) and successfully completed the CITICORP Development Program in finance (New York). His professional experience includes 9 years of M&A (Mergers and Acquisitions) experience in the Investment Banking Industry in prestigious Financial and Advisory Institutions such as: KPMG, JP Morgan, Citigroup, Banca IMI and Union Bank of Switzerland (UBS). 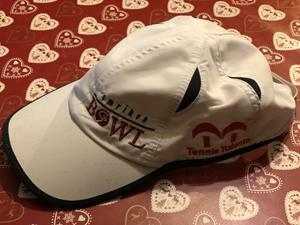 In 1996 he founded Smrikva Bowl and in 2002, jointly with Maureen Connolly Brinker (MCB) Tennis Foundation, Mio founded “Little Mo”/Smrikva Bowl – the first ever under 10 international tennis competition between the US and Europe. 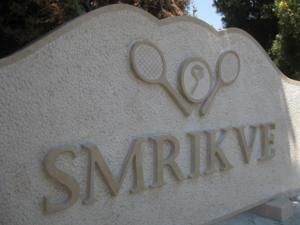 Today Smrikva Bowl is considered one of the most important under 10 tennis tournaments in the World. 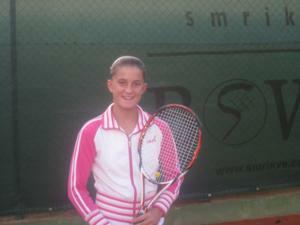 Mio is PTR Certified Professional Tennis Coach with MAP 3A and Croatian Tennis Coaches Association member. He is also certified member of ISMCA International Sport Mental Coach Association , and is Certified Chair and Line Umpire by Association of Croatian tennis umpires. Professional Tennis Registry (PTR) is the largest global organization of tennis teachers and coaches. Today he is dedicating his time with passion to Smrikve, Smrikva Bowl organisation and to the youngest tennis players development. Tomislav Bozovic was outstanding in gymnastics when he was younger and has dedicated many years to teach generations of pilots how to fly supersonic planes. Today he is dedicating his time with passion to the youngest players that are willing to learn the basics about tennis and, what is even more important, to learn the values that sports transmit to people in general. Tomo is PTR Certified Associate Instructor. The additional talent resource we leverage in Smrikve is Miro Hrvatin (coach). Miro played and trained with the best Croatian players of his generation: Ivan Ljubicic, Ivo Karlovic, Zeljko Krajan, Roko Karanusic, Ivan Vajda, Lovro Zovko. 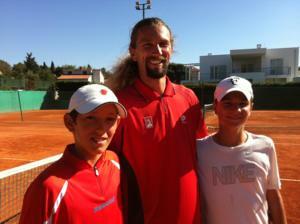 His best ranking was # 2 in under 18 age group in Croatia and #4 among seniors. For two consecutive years he was member of the winning team of the first Croatian National league and played Oberliga in Germany. Miro is currently coaching Miomir Kecmanovic – 14th SB 2009 quarterfinalist. Miomir’s best junior ranking: #1 ITF (Nov 2016); In March 2019 Kecmanovic reached TOP 100 ATP ranking. • leverage the Smrikva Bowl network to allow the growth of the potential professional tennis players. Luca Appino is a long term Smrikva Bowl friend and Golden Honorary Member since this title was established. Luca was for many years Babolat Director Of Sports Marketing and contributed to built up Babolat from a string company to one of the largest racquet manufacturers in the World. He is also credited for signing contracts with players such as Rafael Nadal, Andy Roddick, Kim Clijsters, Dinara Safina, Carolina Wozniacki, etc. In 2009 Luca Appino decided to start, in collaboration with Toni Nadal, to share his experience through TENNIS TALENT TT Path to Success Program. 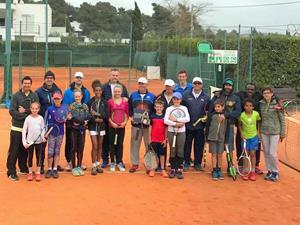 The main service is focused on helping junior talented players and their parents in building their professional tennis career. 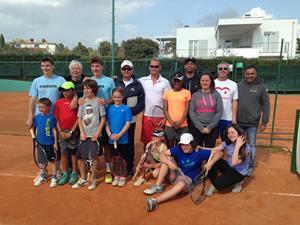 The first Tennis Talents program with focus on the Pillars (1. Sensation – 2. Respiration – 3. Timing – 4. Hitting Point) for the Smrikva Bowl 2010 players, families and coaches was held in Smrikve on 28th and 29th of June 2010. The Class was run by Luca Appino and assisted by Mimi, Miro Hrvatin, Ariana Rabac. 1st Smrikva Bowl Tennis Talents Family Week 2015 program with focus on the Tennis Talents Pillars (1. Sensation – 2. Respiration and Muscle Release… Rhythm – 3. Timing and Acceleration – 4. Ideal Point of Contact) and Momentum for the Smrikva Bowl players, families and coaches was held in Smrikve from 18th and 25th of April 2015. The Class was run by Luca and Mio… assisted by Tomo, Ivan and Matej. 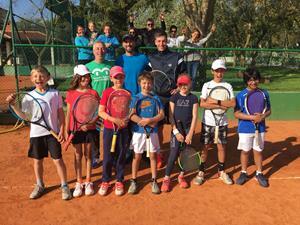 2nd Smrikva Bowl Tennis Talents Family Week 2016 run by Luca and Mio… and assisted by Tomo and Max was held from 16th and 23rd of April 2016. 3rd Smrikva Bowl Tennis Talents Family Week 2017 run by Luca and Mio and assisted by Max and Tomo. 4th Smrikva Bowl Tennis Talents Family Week 2018 (1st week) run by Luca and Mio and assisted by Max and Tomo. 4th Smrikva Bowl Tennis Talents Family Week 2018 (2nd week) run by Luca and Mio and assisted by Tomo and Max. 5th Smrikva Bowl Tennis Talents Family Week 2019 (1st week) run by Luca and Mio and assisted by Max and Szilard. 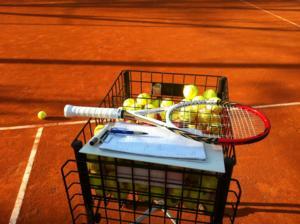 Professional Tennis Registry – PTR is the largest global organization of tennis teachers and coaches. One of PTR’s key objectives can be summarized in: Setting the Standard for Tennis Teaching Excellence. Professional Tennis Registry provides quality education, global certification, and unsurpassed service to tennis teaching professionals and coaches. With more than 16,400 members in 125 countries, PTR is an inclusive and diverse organization whose members strive to Make a World of Difference in growing the sport of tennis. 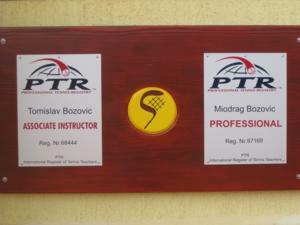 Miodrag Bozovic and Tomislav Bozovic are both PTR members. 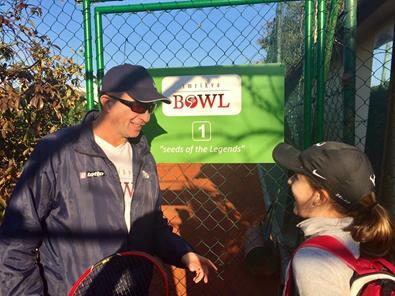 ISMCA is International Sport Mental Coach Association founded by ATP Coach Alberto Castellani. Miodrag Bozovic is ISMCA Certified Member. Wilson is #1 tennis racquets and accessories company in the World. Players such as Roger Federer, Juan Martin del Potro, Serena and Venus Williams are some of the famous tennis players currently using Wilson racquets and Wilson is one of the Smrikva Bowl sponsors. Smrikva Bowl winners are honoured with Wilson International Contracts that are usually given to the most talented players of 14 years of age and older. 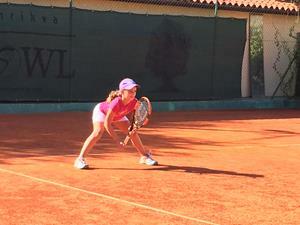 Mouratoglou Tennis Academy is #1 tennis Academy in Europe, and among the top Academies in the World. 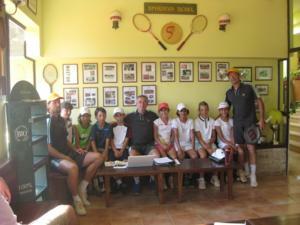 Mouratoglou Tennis Academy provides Smrikva Bowl winners with one week training with their professionals. In 2009 we started the building of the Smrikva Bowl Library. Since then each Smrikva Bowl player is requested to bring with him a cultural book that will remember his stay in Smrikve and will represent his culture of origin that guests of Smrikve will be able to consult, enjoy and discover. ALFONSI STEFANO, Tennis, Giunti Editore, Milano, 2007. ANDERSON BOB, Stretching, Edizioni Mediterranee, Roma, 2010. ANTOUN ROB, Il tennis vincente, Gribaudo – IF – Idee editoriali Feltrinelli srl, Milano, 2013. APARICIO JOSE ANTONIO y RENES VICTOR M., Las cualidades fisicas en el Tenis y su entrenamiento, resistencia, fuerza, velocidad, capacidades coordinativas, movilidad articular, Tutor, Madrid, 2016. ARMENULIĆ RADMILO, Tenis, sve o tenisu, Sportska knjiga, Beograd, 1983. BAČANAC LJUBICA, PETROVIĆ NEBOJŠA, MANOJLOVIĆ NENAD, Priručnik za roditelje mladin sportista, Republički zavod za soirt, Beograd, 2009. BARBI MORENO, Mal di schiena – sindromi algiche vertebrali, Editrice Elika, Pievesestina di Cesena (FC), 2003. BOLLETTIERI NICK, Bollettieri’s Tennis Handbook – Learn from the game’s #1 caoch, Human Kinetics, Champaign, 2001. BOLLETTIERI NICK, Tennis – un grande maestro di tennis vi insegna a giocare e a perfezionare il vostro stile, SIAD Edizioni, Milano, 1986. BOMPA TUDOR, Cjelokupan trening za mlade pobjednike, preko 300 vježbi brzine, snage, fleksibilnosti, jakosti, izdržljivosti i koordinacije za mlade sportaše od 6 do 18 godina. Gopal, Zagreb, 2005. BORNEMANN RUDIGER, GABLER HARTMUT and REETZ JOCK, Tenis, od početnika do majstora, Mladinska Knjiga Zagreb, Zagreb, 1993. 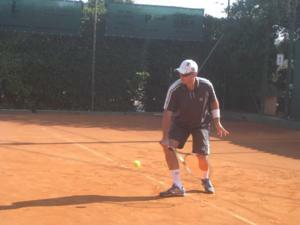 BOTTAZZI LUCA e ROSSI CARLO, Il codice del tennis, Bill Tilden. Arte e scienza del gioco, Guerin NEXT, Milano, 2015. BRANDON LEIGH, Anatomia delle lesioni sportive, per il fitness e la riabilitazione, Elika Editrice, Cesena, 2011. BROWN JIM, Tenis, koraci do uspeha, Datastatus, Beograd, 2004. CASALE LUIGI, Il preparatore dei tennisti, Modelli di preparazione fisica per giovani tennisti, Professional Tennis Registry, Merano, 2003. CASALE LUIGI e PROIETTI SCORZONI ANTONIO, Un altro tennis, Il cammino psicofisico dell’allievo dai quattro ai sedici anni, Bonanno Editore, Roma, 2008. CERIANI MARCO, Guida pratica all’uso degli Integratori nello sport, Editrice Elika, Pievesestina di Cesena (FC), 2007. CLARK NANCY, Sportska prehrana, izvori energije za vaš aktivan način življenja, Gopal d.o.o., Zagreb, 2000. COPE MICK, Tajne uspješnog Coachinga, Veble commerce, Zagreb, 2012. CORNO CLAUDIO, Vincere il mal di schiena, Come combattere i dolori quotidiani alla schiena, Editrice Elika, Cesena (FC), 2010. CRESPO MIGUEL and MILEY DAVE, ITF Advanced Coaches Manual (1998) – priručnik za teniske trenere, Hrvatski teniski savez uz financijsku pomoć HOA-e, Zagreb, 2009. CRESPO MIGUEL, GRANITTO GUSTAVO and MILEY DAVE, Razvoj mladih tenisača, ITF Ltd, 2002. CROSS ROD and LINDSEY CRAWFORD, Tenis Tecnico, Raquetas, Cuerdas, Pelotas, Pistas, Efectos y Botes, Editorial Paidotribo, Badalona, 2009. ČILIĆ MARIN, Tenisko čudo iz Međugorja, Večernji list, Zagreb, 2014. ČURILA MIROSLAV, Teniski priručnik, temeljni pojmovi i pravila, Zagreb, 1999. ČURILA MIROSLAV, Teniski priručnik, Zagreb, 1991. DJOKOVIC NOVAK, Serviraj za pobedu, četrnaestodnevni plan bezglutenske ishrane za vrhunska fizička dostignuća i mentalnu snagu, Laguna – Novosti, Beograd, 2013. DOUGLAS PAUL, Il manuale del tennis, Idealibri srl, Milano, 1992. DOUILLARD JOHN, Tijelo, duh i šport, vodič za duh i tijelo do športskog uspjeha, dobre kondicije i zdravlja, Dvostruka Duga, Čakovec, 2004. ELLSWORT ABBY an ALTMAN PEGGY, Anatomia del massagio, guida completa, Elika Editrice, Cessena (FC), 2009. FEDERAZIONE ITALIANA TENNIS – Scuola Nazionale Maestri, Mini Tennis, Apprendere giocando, Tipolitografia Empograph, Roma, Settembre 2000. FERRARESI FRANCO and BERTELLINO ROBERTO, La Volee della Vita, il Pennino, Torino, 2012. (donated by Emma Valletta in 2014). FRISCIC VJERAN, Tenis bez tajni, Tenis, Zagreb, 2004. 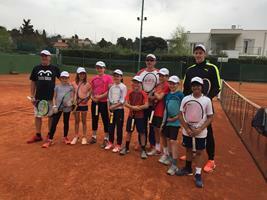 GALOZZI CLAUDIO, BONAVOLONTA’ VALERIO, MERCURI ANNA, PAPERINI FRANCESCO, LEONARDI CLAUDIA, Il tennista di oggi, Prevenzione degli infortuni e miglioramento della performance agonistica dell’atleta, SuperTennis, FIT, CONI, 2017. GROSSER MANFRED, KRAFT HEINZ, SCHONBORN RICHARD, Speed training for tennis, Improve your performance around the court, ITF, MEYER & SPORT, Oxford, 2000. HOSKINS TINA, The Tennis Drill Book – 245 drills for technique, conditioning, and match tactics, Human Kinetiks, 2003. HODGKINSON MARK, Game set and match, secret weapons of the world’s top tennis players, Bloomsbury, London, 2015. IVANCEVIC TIJANA, SWETTA DJUKIC, SASA MARKOVIC, BOJAN JOVANOVIC, MILORAD DJUKIC, NICK IVANCEVIC, Tennis Champion of the Future, Revealing the Secrets of Future Sport Science, Unija rukometnih kampova, Novi Sad, 2008. JARAMILLO GABRIEL, Gabe Jaramillo Tennis Manual, 2009. LAVER ROD with BUD COLLINS, The Education of a Tennis Player, New Chapter Press, 2009. LI NA, My Life, Penguin Viking, London, 2012. LITTLEFORD JOHN and MAGRATH ANDREW, Il tennis, tecniche e tattiche per migliorare il gioco, Logos, Modena, 2011. MACCADENZA ROBERTO, Streching – tecniche e metodi, riscaldamento, esercizi, attrezature, Giunti Demetra, Firenze, 2011. MANFRED GROSSER and RICHARD SCHONBORN, Competitive tennis for young players, Meyer & Meyer Sport, 2001. MARATZ JIM, Safe Tennis, How to Train and Play to Avoid Injury and Stay Healthy, Skyhorse Publishing, New York, 2015. MORAN GREG, Tennis beyond big shots – second edition – the new power game, Mansion Grove House, Austin, 2008. MYERS RICHARD B., Tennis for humans, Two thousand three associates, New Smyrna Beach, 2008. NADAL TONI, Todo se puede entrenar, Alienta Editorial, Barcelona, 2015. NELSON ARNOLD G., KOKKONEN JOUKO, Streching Anatomy, 57 esercizi con descrizione tecnica ed analisi anatomica, Calzetti Mariucci Editori, Torgiano (PG), 2007. 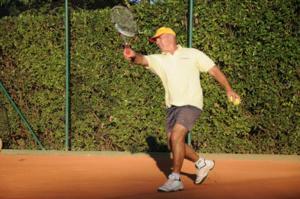 PALENI GIACOMO, Il gioco del tennis – benessere fisico e mentale, www.palenitenniscoach.com, Giugno 2009. PALMA ERASMO e CASTELLANI ANDREA, Arte, educazione, performance nel tennis, Fondamenti teorici, MDS Editore, Pisa, 2013. PEASE ALLAN and BARBARA, The definitive book of body language, the hidden meaning behind people’s gestures and expressions, Bantam Books, New York, 2006. PIRIĆ JADRANKO, Tenis, kretanje i rad nogu, Harfo-graf, Tuzla, 2009. PIRIĆ JADRANKO, Tenis klub planiranje, od tenis škole do takmičara, Printcom Tuzla, Tuzla. PROFESSIONAL TENNIS REGISTRY (PTR), Certification Workshop Teaching Essentials, Test Preparation Guide, PTR, 2008. PROIETTI SCORZONI ANTONIO, L’attenzione nei tennisti di alto livello, Bonanno Editore, Roma, 2007. RICH SUE, Lezioni di tennis, una guida completa a questo affascinante sport, Logos, Modena, 2009. ROETERT PAUL E. & KOVACS MARK S., TENNIS Anatomy, Your illustrated guide for tennis strength, speed, power, and agility., Human Kinetiks, USTA, 2011. RUPIC SLOBODAN, Energizirana teniska loptica, RS-Nata d.o.o, Zagreb, 2008. SMITH IAN K., Mangia con amore – semplici regole e piccoli accorgimenti per una dieta facile, Oscar Mondadori, Milano, marzo 2012. STEINHOFEL LUTZ, Competitive tennis, Meyer & Meyer Verlag, 1995. STRETCHING, oltre 200 esercizi illustrati passo-passo. Come mantenere il proprio fisico elastico ed efficiente. Grandi Manuali, KeyBook, RL Gruppo editoriale srl, Santarcangelo di Romagna (RN), maggio 2009. USTA – Foreword by Jim Courier, TENNIS TACTICS, Winning Patterns of Play, Human Kinetics, Champaign, 1996. USTA – ROETERT PAUL, ELLENBECKER S. TODD, Tennis – Kompletan kondicijski program, Gopal d.o.o., Zagreb, 2003. VIGNALI GIANLUCA, Tennis in Carrozzina, A tough job!, Comitato Italiano Paralimpico, Roma, gennaio 2010. WEINECK JURGEN, Anatomia sportiva, principi di anatomia funzionale dello sport, Calzetti Mariucci Editori, Ponte San Giovanni (PG), 2003. WILSON ELIZABETH, Love Game, A history of tennis, from Victorian pastime to global phenomenon, Serpent’s Tail, London, 2015. WILLIAMS SERENA with PAISNER DANIEL, My Life, Queen of the court, Simon & Schuster, London, 2009. YACUB JULIO, The Science & Art of Tennis, Hats Off, Tucson Arizona, 2004. ZMAJIĆ HRVOJE, Natjecateljski tenis, Zagreb, 2003. ZTSH – ZBOR TENISKIH SUDACA HRVATSKE, Postupci i dužnosti teniskih sudaca. ZTSH – ZBOR TENISKIH SUDACA HRVATSKE, Pravila tenisa. ANDREOLI VITTORINO, L’alfabeto delle relazioni, Rizzoli, Milano, 2005. ANGELA PIERO, Viaggio dentro la mente, Conoscere il cerello per tenerlo in forma, Rai Eri Mondadori, Milano, 2004. ANGELA PIERO, Ti amero’ per sempre, la scienza dell’amore, Rai Eri Mondadori, Milano, 2005. APPLEWHAITE CHARLES, Improve your Tennis IQ, The off-court workout for on-court skills, Barron’s, New York, 2003. APPLEWHAITE CHARLES, Tenis, usavršite svoju igru, Dušević & Kršovnik d.o.o., Rijeka, 2003. BAUDOUIN BERNARD, Il coraggio della pace, La parola ai premi Nobel, Edizioni il punto d’incontro, Vicenza, 2005. BEAHM GEORGE, Siate affamati, siate folli, Steve Jobs in parole sue, Rizzoli, Milano, 2011. BLAUVELT CHRISTIAN, STAR WARS, Be more Yoda, mindful thinking from a galaxy far far away, Penguim Random House, London, 2018. BLAUVELT CHRISTIAN, STAR WARS, Be more Vader, assertive thinking from the dark side, Penguim Random House, London, 2018. BUTIGNOL LIVIO, SUN TZU, L’arte della guerra, Etas, Milano, 2005. BUZAN TONY, Il potere dell’intelligenza creativa, 10 modi per utilizzare al massimo fantasia e immaginazione, Armenia, Milano, 2002. CADONATI ROBERTO e DE GIORGIO ANDREA, Come giocare a Golf ConVincenteMente, La Tipografica Varese SpA, 2008. CHEVALLON SOPHIE, La preparazione psicologica dello sportivo, De Vecchi, Milano, 2007. COELHO PAUL, Alkemičar, V.B.Z. Zagreb, 2004. COVEY STEPHEN R., 7 navika uspješnih ljudi, Mozaik Knjiga, Zagreb, 1998. COYLE DANIEL, The Culture Code, The Secrets of Highly Successful Groups, Pengiun Random House UK, London, 20018. COYLE DANIEL, The Talent Code, Greatness isn’t born. It’s grown. Here’s how., Bantam Books, New York, 2009. CREPET PAOLO, I figli non crescono piu’, Einaudi, Torino, 2005. 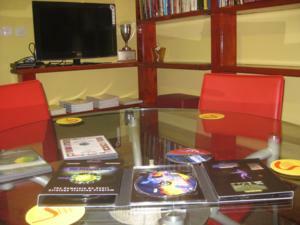 CSIKSZENTMIHALYI MIHALY, Flow, The Psychology of Optimal Experience, Harper Perennial Modern Classics, New York, 2008. D’AGOSTINI GIOVANNI, Gli anni dell’inquietudine, Comprender gli adolescenti per aiutarli a crescere, Giunti demetra, Firenze – Milano, 2006. DALAI LAMA con CHAN VICTOR, La saggezza del perdono, Rizzoli, Milano, 2005. DALAI LAMA con HOWARD C. CUTLER, L’arte della felicita’, Oscar Mondadori, Milano 2001. DALAI LAMA, i consigli del cuore, Oscar Mondadori, Milano 2003. DALAI LAMA, Incontro con Gesu’, una lettura buddhista del Vangelo, Oscar Mondadori, Milano 1998. DALAI LAMA, Trasformare la mente, riflessioni su vita, amore e felicita’, Oscar Mondadori, Milano 2005. DALAI LAMA & GOLEMAN DANIEL, Emozioni distruttive, Liberarsi dai tre veleni della mente: rabbia, desiderio e illusione, Oscar Mondadori, Milano 2004. DALAI LAMA, Felicita’ e meditazione, un percorso spirituale, Sperling & Kupfer Editori, Milano 2005. DALAI LAMA, La luce della saggezza, Sperling & Kupfer Editori, Milano 2004. DALAI LAMA, La strada che porta al vero, come praticare la saggezza nella vita quotidiana (Jeffrey Hopkins PhD), Mondadori, Milano 2005. DALAI LAMA, La politica della compassione, una antalogia degli scritti del Dalai Lama, Chiara Luce Edizioni, Pisa, 2004. DRAGONI GRAZIELLA, Vincere con la mente – Motivazione, autostima, mentalita’ vincente nello sport e nella vita, Editrice Elika, Cesena (FC), Aprile 2005. DURANTI FABRIZIO, Un medico per amico, 200 risposte alla tua voglia di star bene, Sperling & Kupfer Editori SpA, Milano, 2008. GALLWEY TIMOTHY W., Il Gioco Interiore nel Tennis, Come usare la mente per raggiungere l’eccellenza, Lit edizioni Srl, 2013. GALLWEY TIMOTHY, The Inner Game of Tennis, The Classic Guide to the Mental Side of Peak Performance, Random House Trade Paperback Edition, New York, 2008. GERVASO ROBERTO, Qualcosa non va, valori e doveri, Oscar Mondadori, Milano 2005. GESUALDI AMANDA, L’Atleta Zen, Italia Press Edizioni, Milano, 2007. GESUALDI AMANDA, Tennis Olistico, 2011. GIACOBBE GIULIO CESARE, Come diventare Buddha in cinque settimane, manuale “serio” di autorealizzazione, Ponte alle Grazie, Milano, 2005. GILBERT BRAD & JAMISON STEVE, Winning Ugly, Vincere sporco, guerra mentale nel tennis. Lezioni da un maestro, Priuli & Verluca, Scarmango (Torino), 2013. GODWIN MALCOLM, Chi sei? 101 modi di vedere te stesso, scoprire la propria identita’ nascosta, Mondadori, Milano, 2001. GOLEMAN DANIEL, Intelligenza emotiva, che cos’e’ e perche’ puo’ renderci felici, Rizzoli, Milano, 2018. GRANT ADAM, Give and Take, Why helping others drives our success, Weidenfeld & Nicolson, London, 2013. HBR’s 10 MUST READS, On Mental Toughness, If you read nothing else on mental toughness, read these definitive articles from Harward Business Review, Harward Business Review Press, Boston, Massachusetts, 2018. HIGHAM ALISTAR, Momentum: the hidden force in tennis, Meyer & Meyer Sport, 2000. KICHIMA ISCHIRO and KOGA FUMITAKE, The Courage to be disliked, Allen & Unwin, London, 2019. LINDEMANN HANNES, Autogeni trening, Kako preživjeti stres – put k opuštanju, zdravlju i povećanju učinka, Prosvjeta, Zagreb, 1991. LOEHR JIM, Allenare la forza mentale, Professional Tennis Registry, Hilton Head Island, 2004. MANSON MARK, The subtle art of not giving a f.ck, a counterintuitive approach to living a good life, Harper Collins Publishers, Croydon, 2016. MCNAB CHRIS, Mental Endurance, sviluppare la forza mentale con i metodi usati dalle forze speciali di tutto il mondo, Mediterranee, Roma, 2014. MENABUE FABIO, Il tennis giocato dentro!… capire e allenare la parte mana e mentale di un atleta, Book Sprint Edizioni, 2010. MILLMAN DAN, Sveto putovanje mirnog ratnika, Dvostruka duga, Čakovec, 2003. MOESTL BERNHARD, Kung-Fu e l’arte di stare calmi, i 7 principi Shaolin per l’autoconrollo, Feltrinelli, Milano, 2016. MOURATOGLOU PATRICK, Impara a vincere, da un grande coach segreti e strategie per sfruttare al massimo il tuo potenziale e trionfare nella guerra del tennis, Piemme, Milano, 2015. ORLICK TERRY, Mentalni trening za sportaše, Gopal, Zagreb, 2012. POPPER KARL R., Tre saggi sulla mente umana, Armando Editore, Roma, 2002. SCREM MILENA, comprendere e praticare IL TRAINING AUTOGENO, come concentrarsi, rilassarsi, potenziarsi, De Vecchi, Giunti Editore SpA, Firenze, gennaio 2012. SELL COLLEN e ROBERTS ROSEMARY, Lo Zen in 10 minuti, Armenia, Milano, 2005. SEPPALA EMMA, The happiness track, how to apply the science of happiness to accelerate your success, Harper One, New York, 2016. SUN PIN, La strategia militare, Colui che sa in anticipo se vincera’ o sara’ sconfitto conosce il tao, Biblioteca Universale Rizzoli, Milano, 2004. SUNIM HAEMIN, Love for imperfect things, Penguin books, New York, 2018. ŠARIĆ IGOR, Sve je moguće, realizirajte svoj potencijal, Bomis d.o.o., Zagreb, 2013. VERNI KEN A., Mindfulness in pratica, Demetra, Milano, 2018. YEUNG ROB, Sampouzdanje, umijeće postizanja svega što poželimo, Veble commerce, Zagreb, 2012. 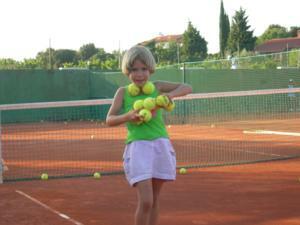 BERTINO LUIGI, Munchkin Tennis, L’insegnamento del tennis ai bambini dai 4 ai 10 anni, PTR Professional Tennis Registry, Merano, 2005. MORELLI MAURIZIO, Yoga per i bambini, Red Edizioni, Milano, 2008. NOVAK DARIO and ŽUGAJ SANJA, Kineziološki sadržaji u poduci tenisa, Zagreb, 2012. ACCADEMIA TENNIS VAVASSORI, 1992-2012 Vent’anni di tennis. Vero, Arti Grafiche Pelizzari Adro, Brescia, Novembre 2012. ADMAS TIM, Essere John McEnroe, Storia di un ribelle che ha rivoluzionato il tennis, Mondadori, Milano, 2005. AGASSI ANDRE, Open, an autobiography, Harper Collins Publishers, London, 2009. AGASSI MIKE con COBELLO DOMINIC, Indoor, La nostra storia, Piemme, 2015. ALGUERSUARI JAIME, Tu hijo puede ser un crack, Como descubrir si tienes un talento deportivo en casa, Planeta, Editorial Planeta S.A., Barcelona, 2012. ALI MUHAMMAD with ALI HANA YASMEEN, The soul of a butterfly, Reflections on life’s journey, Bantam books, New York, 2004. ANDERLONI ENZO, I colpi dei campioni, Edisport Tennis Italiano, 1991. APPINO LUCA (in collaboration with NADAL TONI), The World of Rafael Nadal, secrets of his success, 30 ways to improve your game www.rafabook.com 2009. BAGHDATIS MARCOS, Marcos Baghdatis, Pollina, Lucon, 2006. BAURS KRIS, Sportski lider Novak Đoković i uspon Srbije, Laguna, 2014. BERNARDINI AGAM, Lo Zen e l’arte di giocare a tennis, Macro Edizioni, Cesena, 2010. BOBANOVIĆ PAULA, Blankina priča, iskrena ispovijest najveće hrvatske sportske zvijezde, Profil, Zagreb, 2009. BOLLETTIERI NICK con DAVIS BOB, Cambiare gioco, L’autobiografia del piu’ grande allenatore di tennis di tutti i tempi, Mondadori, Milano, 2015. BOLT USAIN with ALLEN MATT, Fasterthan lightning, my autobiography, Harper Sport, London, 2013. BORIS BECKER Y WIMBLEDON con CRHIS BOWERS, Mi vida y mi carrera en el All England Club, indicios, Valladolid, 2015. BOWERS CHRIS, Fantastic Federer, The biography of the world’s greatest tennis player, John Blake, London, 2007. BUFFA FEDERICO e CATOZZI ELENA, Muhammad Ali, un uomo decisivo per uomini decisivi, Rizzoli, Milano, giugno 2017. CLERICI GIANNI, agli Internazionali d’Italia, cronache dello scriba 1930-2010, Rizzoli RCS Libri SpA, Milano, 2010. CLERICI GIANNI, 500 anni di tennis, Mondadori, Milano, 2004. CLERICI GIANNI, Divina, Suzanne Lenglen, la piu’ grande tennista del mondo, Fandango Libri, Roma, 2010. CLERICI GIANNI, WIMBLEDON, sessant’anni di storia del piu’ importante torneo del Mondo, Arnoldo Mondadori Editori SpA, Milano, maggio 2013. COMMENTUCCI ROBERTO, Sara Errani, Excalibur, il mio tennis sul tetto del mondo, Mondadori, Milano, 2014. COURT MARGARET with Barbara Oldfield, Winning faith, the Margaret Court story, Strand Publishing Sydney, 2000. CRESTO-DINA DARIO, Sei chiodi storti, Santiago 1976, la Davis italiana, 66THAND2ND, 2016. CRONIN MATTHEW, Borg Mc Enroe, Due leggende. La sfida del secolo. Piemme, 2017. CUBEIRO JUAN CARLOS and GALLARDO LEONOR, Coaching Mourinho – tecniche e strategie vincenti del piu’ grande allenatore del Mondo, Antonio Vallardi Editore, Milano, 2012. ČERMAK PETR, Česka lvice Petra Kvitova, Imagination of people, 2014. ČOP GORAN, Luka Modrić, životna i sportska biografija, Dramatično putovanje od Obrovca do Madrida – i Brazila, Profil, Zagreb, 2014. DEL PIERO ALESSANDRO and CROSSETTI MAURIZIO, Giochiamo ancora, Mondadori, Milano, 2012. DRUCKER JOEL, Jimmy Connors mi ha salvato la vita, una doppia biografia, Effepi Libri, Monte Porzio Catone, 2006. FARRO PIETRO, Il tennis e’ un grattacielo, storie in punta di racchetta, Effepi Libri, 2005. FERRE’ VICTOR, Pato Alvarez, el guru del tenis, Viena Ediciones, 2003. FEST SEBASTIAN, Sin red, Roger Federer Rafa Nadal, la historia tras el duelo que cambio el tenis. Debate, Pengui Random House Grupo Editorial, S.A.U., Barcelona, 2015. FINGENWALD DAN, Janica Kostelić, najveća sportska priča ikad ispričana, Profil, Zagreb, 2007. FOLLEY MALCOLM, Borg versus McEnroea, the greatest rivalry the greatest match, Headline book publishing, London, 2005. FOMENKO BORIS, Rosijski Tennis, enciklopedija, Moskva, 1999. FON BOŠTJAN, Dušan Mravlje, Tek- moja norost, Didakta, Radovljica, 2013. GARCIA MUNIZ ANGLE y MENDEZ VEGA JAVIER, DE RAFAEL A NADAL, el camino hacia la leyenda, Corner, Barcelona, 2015. GOOLAGONG CAWLEY EVONNE & JARRATT PHIL, HOME!, The Evonne Goolagong story, Simon & Schuster, Australia, 1993. GOVERNI GIANCARLO, Gino Bartali – L’uomo d’acciaio che salvo’ l’Italia, Il romanzo di una vita divenuta leggenda, Reality Book, Roma, 2014. KING DONNA, Game, set, meč, Dušević & Kršovnik d.o.o., Rijeka, 2008. KLEMENC METOD, KLMENEC ANDREJ, 100 let tenisa na slovenskem: fregmenti zgodovine modernega tenisa, Teniški klub Radomlje, 1997. KNIGHT PHIL, Shoe dog Phil Knight, a memoir by the creator of NIKE, Scribner International, New York, April 2016. KRAMER FREDI, Croatia Davis Cup, Topical, Zagreb, 2007. LAGERCRANTZ DAVID, Ja sam Zlatan Ibrahimović, Biblioteka Ljudi i događaji, Sarajevo, 2012. MAGNANI CARLO, Filosofia del tennis, profilo ideologico del tennis moderno, Mimesis Edizioni, Milano – Udine, 2011. MARIĆ TOMO, Bio jednom jedan šampion, Put kojim idu odabrani, Grafid, Banja Luka, 2014. MARIJANOVIC BORIVOJE, Sampioni tenisa, od Bjorna Borga do Novaka Djokovica, Beoknjiga, Beograd, 2009. MARTINEZ JAVIER, Rafael Nadal, retrato de un mito, la esfera de los libros, Madrid 2015. MASTROLUCA ALESSANDRO, Il successo e’ un viaggio, Arthur Ashe, simbolo di liberta’, ultra sport, Lit Edizioni Srl, Roma, 2013. MATSUMARU SATOMI, The Kei Nishikori Story, IBC Publishing Inc. 2016. McENROE JOHN con KAPLAN JAMES, Non puoi dire sul serio, Edizioni Piemme, Milano, 2012. 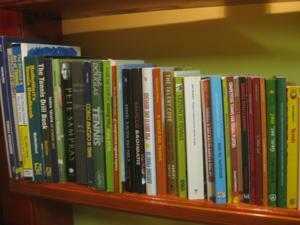 McPHEE JOHN, Tennis, Piccola Biblioteca 646, Adelphi edizioni SpA, Milano, 2013. MENNEA PIETRO PAOLO con MENARINI DANIELE, La corsa non finisce mai, Limina, Milano, 2013. MOURATOGLOU PATRICK, Educate to win, Amphora sports, 2007. MURRAY ANDY, Seventy-seven, My road to Wimbledon glory, Headline Publishing Group, London, 2013. MURRAY JUDY with Alexandra Heminsley, Knowing The Core, My Family and Our Tennis Story, Chotto & Windus, London, 2017. NADAL RAFAEL and CARLIN JOHN, RAFA – la mia storia, Sperling & Kupfer, 2011. OLDFIELD TOM, Rafael Nadal – la sua storia, Edizioni Mare Verticale, Grancona, 2013. OLIVERT JUAN and URRUTIA CARLOS, Made in Valencia, El exito del tenis en la Comunidad, Territorio Motero Denia s.l., Valencia, 2008. PANATTA ADRIANO, Piu diritti che rovesci, Incontri, sogni e successi dentro e fuori campo, Rizzoli RCS Libri, Milano, 2009. PENNETTA FLAVIA, Diritto al cuore, Arnaldo Mondadori Editore SpA, Milano, 2011. PERICOLI LEA, C’era una volta il tennis. Dolce vita, vittorie e sconfitte di Nicola Pietrangeli, Rizzoli RCS Libri, Milano, 2007. PISAPIA LUCA, Gigi Riva ultimo hombre vertical, Limina, TEA SpA, Milano, 2012. PRĆIĆ DRAŽEN, Wild Card, Studio Bravo, Subotica, 2007. RAĐA DINO, Moj galebe, Glas Dalmacije, revija Dalmatinske akcije, Split, 2000. SAJID METJU, Mit o talentu, moć vežbe, Psihopolis institut, Novi Sad, 2013. SAMPRAS PETE with BODO PETER, A Champion’s Mind, Lessons from a life in tennis, Crown Publisher, New York, 2008. SANCHEZ VICARIO EMILIO Y BRUNO MOIOLI, Sonar para ganar, Consigue tu bienestar diario aplicando las claves psicologicas de una seleccion campeona, temas de hoy VIVIR MEJOR, Madrid, 2009. SASSAREGO PIERO, Io, Mancini, Le piccanti confessioni dell’ultima bandiera del calcio, Alkaest, 1996. SCALA ANDRE, I silenzi di Federer, O barra O edizioni, Milano, 2013. SELEŠ MONIKA, Forhendom preko mreže života, autobiografija, azbook, Beograd, 2011. SHARAPOVA MARIA with Rich Cohen, Unstoppable, My life so far, Particular Books an imprint of Penguin Books, 2017. STAUFFER RENE, il genio del tennis, la storia di Roger Federer, Edizioni Mare Verticale, Grancona, 2013. STORACE ANGELANTONIO e LOBASSO MARCO, Potito Starace, Il padre Angelantonio racconta suo figlio da ragazzino prodigio a stella del tennis, Edisud Salerno, Salerno, 2009. SUHODOLČAN PRIMOŽ, Tina in medvedja moč, Tina Maze, resnična pravljica, DZS, Ljubljana, 2016. ŠOŠKIĆ ČEDOMIR, Tenis bez granica, 1922-2012, Teniski Savez Srbije, Eternus Biblioteka, Beograd, 2012. TENIS U ŽUPANJI, Teniski klub “Županja 1881”, “Pauk” Cerman, 2002. TEPŠIĆ GORAN i FRANCIS CHARLIE, Doručak šampiona, tajne sportske farmakologije, Lexia d.o.o., Zagreb, 2002. TOPČIĆ ZLATKO, Safet Sušić, Pape, Romansirana biografija Safeta Sušića, Zenica, 2007. UZORINAC ZDENKO, Teniske legende i asovi, Prosvjeta d.d., Bjelovar, 1997. VICKERY PHIL with ALISON KERVIN, Raging Bull, The Autobiography of the England rugby Legend, Harper Sport, London, 2010. ZOLTOWSKA DARSKA YVETTE, Prva biografija za djecu, MESSI, od malenog dječaka do velike zvijezde, Egmont, Zagreb, 2015. WALLACE DAVID FOSTER, Il tennis come esperienza religiosa, Einaudi, Torino, 2012. WHITE CLIVE, DAVIS CUP by BNP PARIBAS 2012, The International Tennis Federation Universe, Universe Publishing, New York, 2012. • International Certification Workshop run by Marco Vecchi, Marlengo (Italy), September 2009. • Refresh and Retest at Marlengo (Italy), October 2009. • 11th International Tennis Symposium at Pro Patria Milano (Italy), speakers: Luke Jensen, Jorge Dipasquale, Daniel Panajotti, Roberto Ravizza, Marco Vecchi, Luigi Bertino, Danilo Pizzorno, Alberto Bovone, Mark Maslowski, Alberto Castellani, Luca Appino, Gabriel Jaramillo, November 2009. 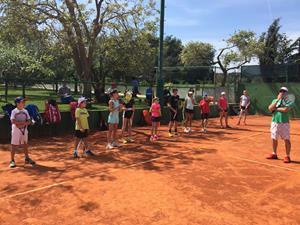 • Junior Coaching – Il processo di allenamento giovanile nel tennis dai 10 ai 16 anni, run by Luigi Bertino in Turin (Italy), November 2009. • Refresh and Retest at Belluno (Italy), January 2010. 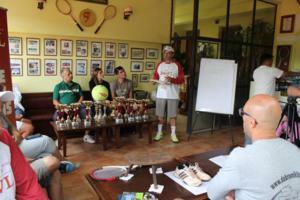 • Tennis Talents workshop run by TT Founder Luca Appino with focus on 1. Sensation – 2. Respiration – 3. Timing – 4. Hitting point, at Smrikve (Croatia), June 2010. 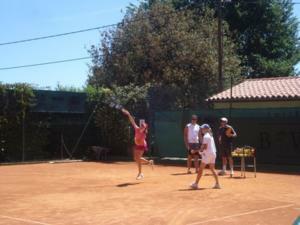 • Munchkin Tennis, teaching tennis to kids from 4 to 10 years of age, run by Luigi Bertino in Marlengo (Italy), July 2010. • Annual PTR Tennis Forum Meeting at Vavassori Tennis Academy – Palazzolo (Italy), speakers: Mike Barrell, Luca Avagnina, Luigi Bertino, Marco Vecchi, Sammy Marcantognini, Luigi Casale, Luciano Botti, September 2010. • 12th International Tennis Symposium at Sporting Club Milano 3 (Italy), speakers: Chip Brooks, Massimo Puci, Daniel Romero, Claudio Rigolo, Fabrizio Caldaroni, Massimo Sartori, Alberto Castellani, Fabrizio Menabue, Luca Mondazzi, November 2010. • Biomechanics 1 – La Biomeccanica dei Colpi modreni – Servizio – Diritto – Rovescio, run by Luigi Bertino and Danilo Pizzorno at Circolo Tennis – Citta’ di Belluno – 1949 (Italy), March 2011. 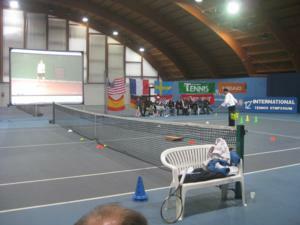 • Annual PTR Tennis Forum Meeting at Vavassori Tennis Academy – Palazzolo (Italy); speakers: Ken De Hart, Luigi Bertino, Luigi Casale, Fabrizio Procino, Marco Vecchi, Francesco Foschi, Luciano Botti, September 2011. • Advanced Teaching – I canali di apprendimento – La comunicazione allievo-maestro – Esercitazioni, run by Marco Vecchi at Circolo Tennis – Citta’ di Belluno – 1949 (Italy), September 2011. • 13th International Tennis Symposium at Centro Pavesi Milano (Italy), speakers: Alberto Castellani, Franco Bonaiti, Antonio Quirino Cipolla, Fabrizio Caldarone, Gianluca Carbone, Renzo Furlan, Massimo Puci, November 2011. • Annual PTR Tennis Forum Meeting at Vavassori Tennis Academy – Palazzolo (Italy); speakers: Lorenzo Beltrame, Gennaro Volturo, Luigi Bertino, Luigi Casale, Francesco Foschi, Pepe Rigamonti, Herbert Schnaubelt, Luciano Botti, September 2012. • Annual PTR Tennis Forum Meeting at Vavassori Tennis Academy – Palazzolo (Italy), speakers: Mark Tennant, Gianluca Vignali, Jean-Marie Bouchy, Stefano Dolce, Luigi Bertino, Herbert Schnaubelt, Luciano Botti, September 2013. • 15th International Tennis Symposium at Centro Pavesi Milano (Italy), speakers: Massimo Rossi, Alberto Castellani, Claudio Pistolesi, Antonio Quirino Cipolla, Claudio Mezzadri, Sandra Cecchini, Barbara Rossi, Federico Ricci, Claudio Grassi, Patricio Remodegui, Adriana Serrazanetti, Erasmo Palma, Dragos Madalin Luscan, Laura Golarsa, Gianni Clerici, Toni Nadal, Jonas Svensson, November 2013. • 7. KONGRES ZTTH 2014 – 7th Conference of the Croatian Tennis Coaches Association at Coral Melia in Umag (Croatia), speakers: Marijan Dugandžić, Petar Barbaros Tudor, Miljenko Vidović, Gordan Janković, Ico Humić, Boris Balent, Luka Milanović, Aleš Filipčić, Dario Novak, Luka Svilar, March 2014. • Annual PTR Tennis Forum Meeting at Vavassori Tennis Academy – Palazzolo (Italy), speakers: Marc Blouin, Carolina Blouin, Luigi Bertino, Simone Bertino, Herbert Schnaubelt, Luciano Botti, Luigi Casale, Marco Vecchi, Pepe Rigamonti, Piero Maria Picotti, Luca Avagnina, Eduardo Silva, September 2014. 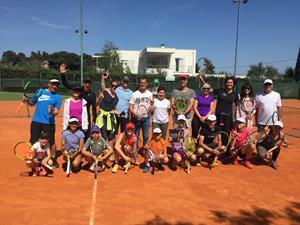 • Mental Coaching – Il fattore mentale nel tennis, run by Marco Vecchi, Marlengo (Italy) , September 2014. • 16th International Tennis Symposium at Centro Pavesi Milano (Italy), speakers: Massimo Rossi, Alberto Castellani, Dragos Madalin Luscan, Alessandra Parroni, Eduardo Luis Silva, Fulvio Consoli, Patricio Remodegui, Manuela Benzi, Stefano Tamorri, Guglielmo Sorci, Fabrizio Caldarone, Rainer Shuettler, Gorio Mandozzi, Renato Palma, Tiziano Gamba, November 2014. 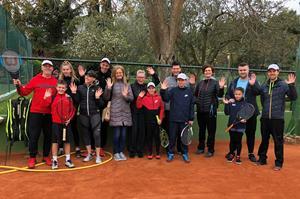 • Croatian Tennis Umpires Registry (Zbor Teniskih Sudaca Hrvatske) – Chair and Lines Umpires Course (Tečaj za glavne i linijske suce) at Smrikve (Pula – Croatia), speakers: Mila Knežević and Mladen Tomšić, November 2014. • 1st Smrikva Bowl Tennis Talents Family Week 2015 – SBTTFW 2015 (Sensation, Breathing and Muscle Release – Rhythm, Timing and Acceleration, Ideal Point of Contact, Movement, Momentum): speaker: Luca Appino, April 2015. • 17th International Tennis Symposium at Centro Pavesi Milano (Italy), speakers: Massimo Rossi, Alberto Castellani, Dimitrav Katsanos, Patricio Remodegui, Salvador Navarro, Luca Bottazzi, Francesco Gambetti, Fabrizio Senatore, Franco Castelli, Alexandr Nikiti, Carlo Rossi, November 2015. • 20th Tennis Coach Conference by Slovene Tennis Coach Association at Otočec (Slovenia), speakers: Aleš Filipčič, Hrvoje Zmajić, Tomaž Mencinger, Marko Por, Gordan Janković, Nikola Niki Pilić, Goran Schevchenko, Zlatko Soše, Tomaž Berendijaš, Bogdan Janša, Dušan Milojković, Blaž Trupej, Anže Bašelj, Vjeran Bayo Friščić, Nikica Nadali, Tone Lovšinj December 2015. • 2nd Smrikva Bowl Tennis Talents Family Week 2016 – SBTTFW 2016 (Sensation, Breathing and Muscle Release – Rhythm, Timing and Acceleration, Ideal Point of Contact, Movement, Momentum): speaker: Luca Appino, April 2016. • 18th International Tennis Symposium at Centro Pavesi Milano (Italy), speakers: Massimo Rossi, Alberto Castellani, Patricio Remodegui, Javier Duarte, Fabrizio Senatore, Elena Casiraghi, Maurizio Rapellini, Oriana Amata, Gianluca Carbone, Jose Perlas, November 2016. • 3rd Smrikva Bowl Tennis Talents Family Week 2017 – SBTTFW 2017 (1. 5 Senses, 2. Muscular release and acceleration, 3. Ideal impact zone, 4. Timing, rhythm and footwork, 5. Tactics: 5 options and Momentum): speaker: Luca Appino, April 2017. • 3rd International Symposium FIT-PTR at Foro Italico – Rome (Italy), speakers: Michelangelo Dell’Edera, Nick Bollettieri, Massimo Sartori, Emma Doyle, Emilio Sanchez, Lorenzo Beltrame, Dalibor Sirola, Craig O’Shannesy, Dermot Sweeney, Judy Murray, Patrick Mouratoglou, May 2017. • 19th International Tennis Symposium at Centro Pavesi Milano (Italy), speakers: Massimo Rossi, Massimo Rapetti, Patricio Remodegui, Stefano Galbani, Laura Golarsa, Jean Philippe Fleurian, Alberto Castellani, Rainer Schuettler, Dirk Hardorff, Jellali Issam, Paulo Escalona, Saeid Ahmadvand, Dragos Luscan, Dimitros Katsanos, Mark Tuen-Matthews, Duje Tomasovic, Carlo Rossi, Aldo Antonelli, Stefano Tamorri, Otello Sorato, Jose Perlas, November 2017. • 4th Smrikva Bowl Tennis Talents Family Week 2018 (first week) – SBTTFW 2018 (1. 5 Senses, 2. Muscular release and acceleration, 3. Ideal impact zone, 4. Timing, rhythm and footwork, 5. Tactics: 5 options and Momentum… impact accuracy, effectiveness, efficiency, thinking): speaker: Luca Appino, April 2018. • 4th Smrikva Bowl Tennis Talents Family Week 2018 (second week) – SBTTFW 2018 (1. 5 Senses, 2. Muscular release and acceleration, 3. Ideal impact zone, 4. Timing, rhythm and footwork, 5. Tactics: 5 options and Momentum… impact accuracy, effectiveness, efficiency, thinking): speaker: Luca Appino, April 2018. • ISMCA (International Sport Mental Coach Association) Level 1 Class & Certificate – Milan (Italy), speakers: Alberto Castellani, Federico Di Carlo, Stefano Lopopolo, Manuela Caputi, Marco Panichi, Salvatore Buzzelli, November 2018. Christian Züger, Gustavo Spector, November 2018. • 5th Smrikva Bowl Tennis Talents Family Week 2019 (first week) – SBTTFW 2019 (1. 5 Senses, 2. Muscular release and acceleration, 3. Ideal impact zone, 4. Timing, rhythm and footwork, 5. Tactics: 5 options and Momentum… impact accuracy, effectiveness, efficiency, thinking): speaker: Luca Appino, April 2019. BOLLETTIERI NICK and LUCIANI LANCE, The strategy zone; Coaching edition, The Complete On Court Strategy Training Program, 4 – DVD – Set (Control, Hurt, Finish). BOLLETTIERI NICK and LUCIANI LANCE, The strategy zone disc; Using the Program Disc (Control, Hurt and Finish), 2005. BOLLETTIERI NICK and LUCIANI LANCE, Nick’s core program “Control” Disc, 2005. BOLLETTIERI NICK and LUCIANI LANCE, Nick’s core program “Hurt” with Margie Zesinger and Lance Luciani, 2005. BOLLETTIERI NICK and LUCIANI LANCE, Nick’s core program “Finish” Disc, 2005. BOLLETTIERI NICK and LUCIANI LANCE, Nick’s strategic tips – 12 Strategic tips for the modern game of tennis, 2004. BOLLETTIERI NICK and LUCIANI LANCE, Nick’s strategic footwork moves with Jose Lambert – 10 moves of the modern tennis game, 2005. BOLLETTIERI NICK and LUCIANI LANCE, Nick’s strategic serve placement and spins with Pat Dougherthy, 2005. BOLLETTIERI NICK and LUCIANI LANCE, Nick’s strategic coaches corner with Jose Lambert, 2005. BOLLETTIERI NICK, Nick’s practice with a purpose – The Backboard, 2003. BOLLETTIERI NICK, Nick’s perfect one hour workout, 2003. CAPESTANY JORGE and DEHART KEN, Top Tennis Tips from Around the World, presented by PTR Professional Tennis Registry, 2010. DINOFFER JOE, Agility & Quickness, Drills for Kids. DINOFFER JOE, Just for Kids, 200 Games & Skill Builders, ages 6-12. DINOFFER JOE, Kids & ladders, Oncourt Off court, Ltd. 2006. PIATTI RICCARDO & LJUBICIC IVAN con la collaborazione di LUIGI BERTINO, Servizio a 360 gradi, Progetto Video Tennis e PTR. PIATTI RICCARDO & LJUBICIC IVAN con la collaborazione di SALVADOR SOSA, Diritto: gli appoggi, Progetto Video Tennis e PTR. PROFESSIONAL TENNIS REGISTRY (PTR), Effective Feeding Techniques, Oivind Sorvald, 2011. PROFESSIONAL TENNIS REGISTRY (PTR), Preparation for Certification, 3rd Edition, 2007. PROFESSIONAL TENNIS REGISTRY (PTR), Ken DeHart – Drills for Advanced Players, 2009. STRATEGY ZONE – Movements Tips – NICK’s 10 Strategic Footwork Moves with Jose Lambert, 2005. STRATEGY ZONE – Strategic Tips “Handling Conditions at Tournaments”. VECCHI MARCO and MARCANTOGNINI SAMMY, Imparare e’ bello! The beauty of learning, ASI PTR, 2010.